On January 17, 1990, the .40 S&W made its debut. Although Smith and Wesson had created a handgun to go along with its new cartridge, their Model 4006 wasn’t slated to come out for a few months, and because of that, Glock was able to beat them to the punch with their Glock 22 and 23. The Model 4006 did hit the shelves right after the new Glocks did, and the rest, as they say, is firearms history. 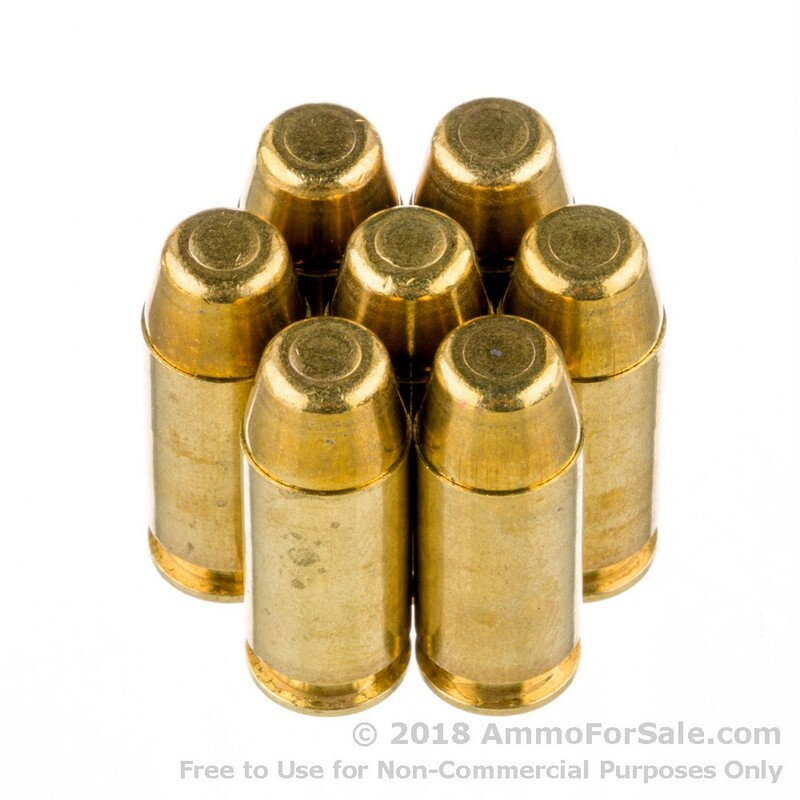 The .40 S&W has been a success from day one, in part because it provides one-shot stopping power and also because it does that with less of a recoil than the 10mm, its parent cartridge. 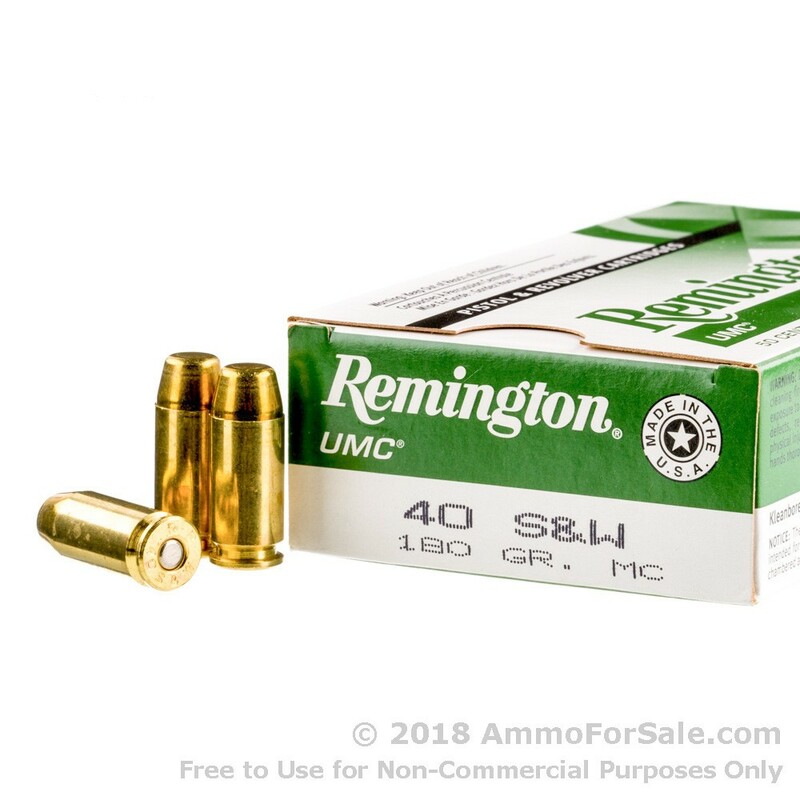 If you have a .40 S&W, these Remington rounds will help you keep it fed and happy. Remington knows a lot about feeding guns and keeping both them and their owners happy. It was 1816 when Eliphalet Remington founded the company, and nearly 200 years later, they’ve become a legendary company with a reputation for maintaining high standards and loyalty to customers and employees alike. 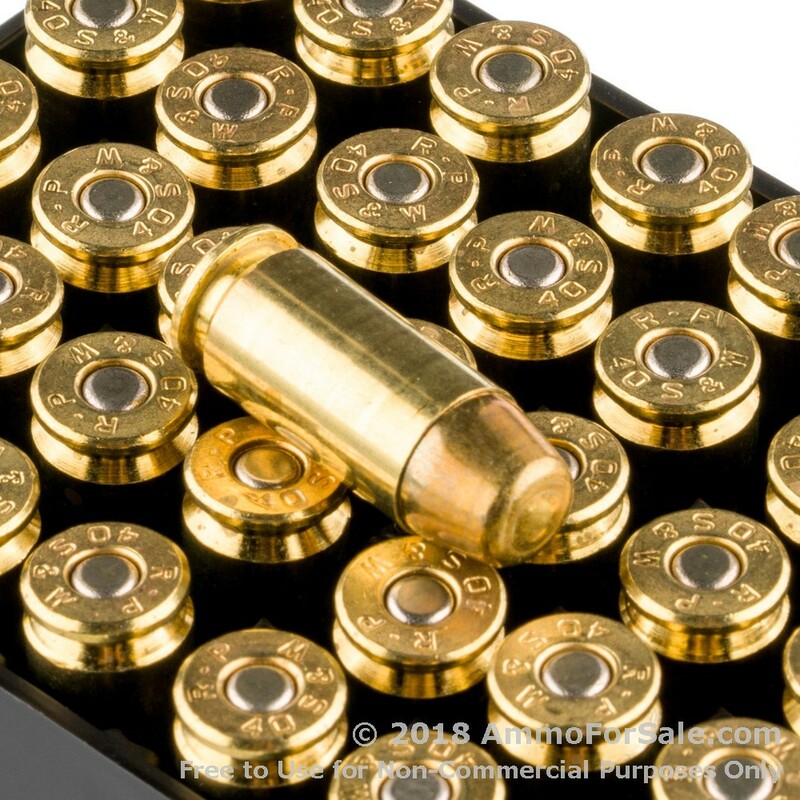 Their headquarters are in Ilion, New York, and they have six plants across the South; your ammunition is manufactured at their plant in Arkansas. These are moderately heavy 180 grain rounds, so they hit hard. They’re MC rounds, which is Remington’s label for FMJ, so they’re great for target practice and tactical training. They have a muzzle velocity of 990 feet per second and a muzzle energy of 392 foot-pounds. There are 50 rounds in this box, so you can tuck it into your range bag and go sling some lead down-range with your favorite handgun. When you buy Remington, you get quality; you get American tradition.